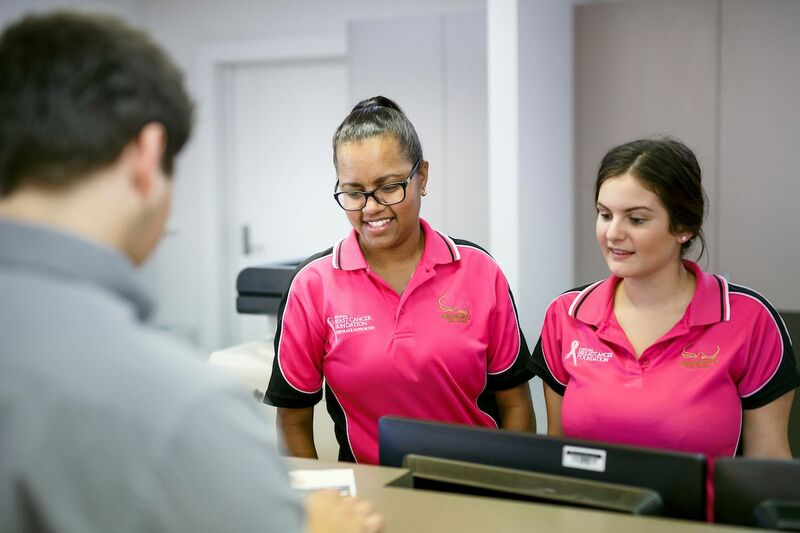 Hinchinbrook Shire Council, like other councils throughout the State, is responsible for ensuring development that occurs within the local government area is conducted in a manner that meets community expectations and relevant standards. Ultimately Council’s responsibility in the planning process is to ensure that the community’s quality of life is maintained and improved where possible. To do this, Council relies upon the planning scheme to identify and communicate what is appropriate development, where this may occur and the type of application required. A planning scheme is a legal document prepared by Council under State planning legislation with a specific purpose of guiding and regulating the development of land. A planning scheme comprises a set of rules and supporting maps and policies that manage and guide the way land, buildings and structures can be used and developed within a local government area. A planning scheme considers development from a shire wide level down to a town, suburb or individual lot level. It is a plan. It is the document that aims to ensure that there is enough residential, industrial, commercial land and that these uses are located in areas that complement each other and reduce potential for conflicts between neighbouring uses. 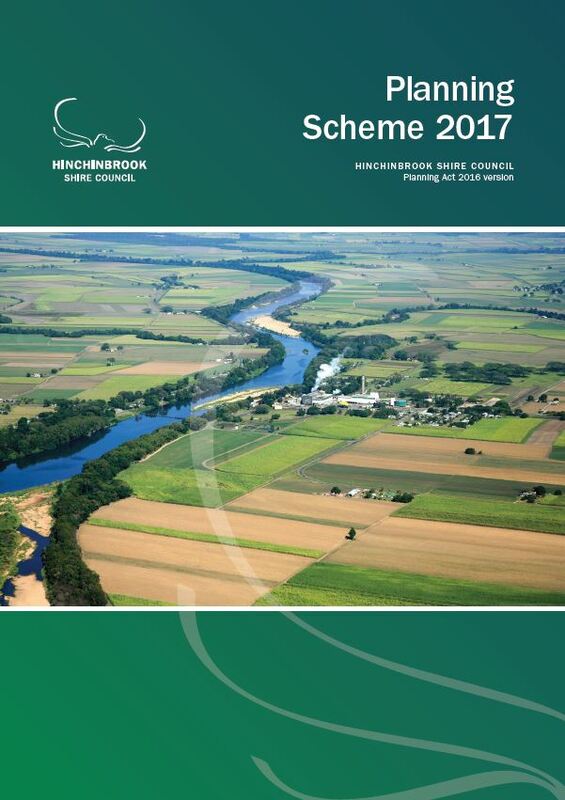 The new Hinchinbrook Shire Planning Scheme 2017 (Planning Scheme) comes into effect 02 July 2018. The Planning Scheme, in conjunction with the Local Government Infrastructure Plan 2018 (LGIP), provides up-to-date rules for managing the built environment and guide decision making in relation to integrated land use and new forms of development. 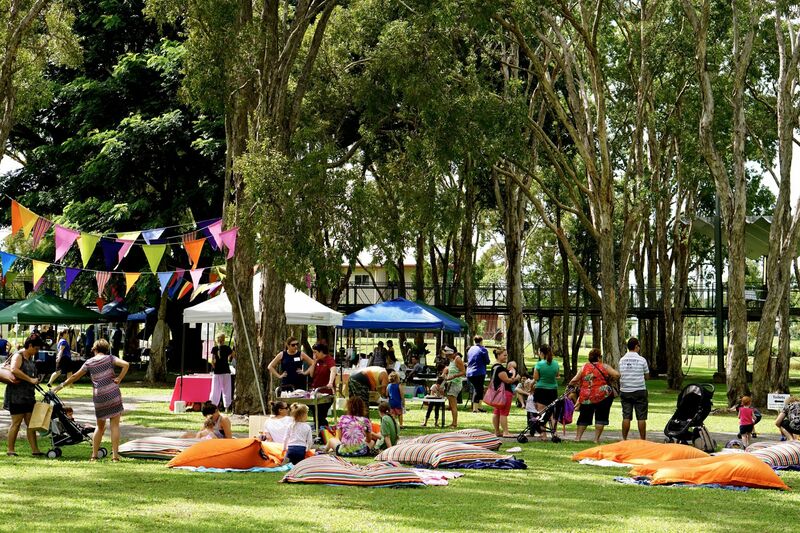 The Hinchinbrook Shire Planning Scheme 2017 has been prepared in accordance with the Planning Act 2016 (the Act) and sets out Hinchinbrook Shire's intention for the future development in the planning scheme area, over the next 50 years. Whilst the Planning Scheme has been prepared with a 50-year horizon, it will be reviewed periodically in accordance with the Act to ensure that it responds appropriately to the changes of the community at a local, regional and state level. 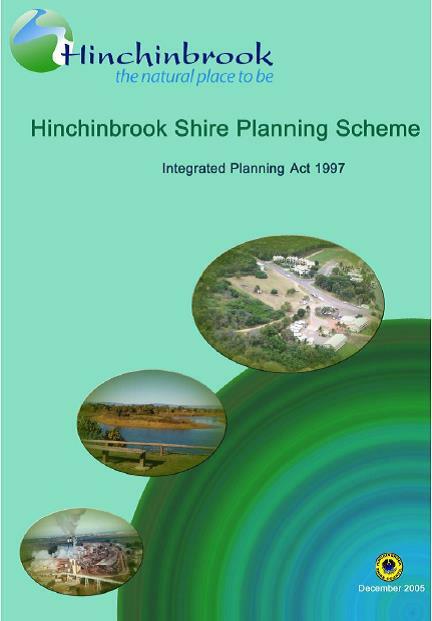 The Hinchinbrook Shire Planning Scheme 2017 applies to the planning scheme area of Hinchinbrook Shire Council and includes all premises, roads, internal waterways, local government tidal areas and interrelates with surrounding local government areas. A strategic framework which sets the policy direction and forms the basis for ensuring appropriate development occurs within the city for the life of the planning scheme. Assessment tables which identifies if a development application is necessary, the level of assessment, the codes and other provisions the development may be assessed against. Zones that designate land for a particular use (e.g. residential, industrial, rural). All land in Hinchinbrook Shire is included in a zone. Precincts may be identified for a part of a zone. A precinct provides further detail for a specific area within a zone. Overlays that identify areas that have unique characteristics that require further planning consideration when a development is proposed. These characteristics may relate to natural hazards such as bushfire, flooding or landslides, contain a value such as biodiversity or cultural heritage, or a constraint such as proximity to an airport, quarry or major water resource (e.g. Herbert River). Development codes which relate to specific types of development such as reconfiguration of a lot applications. Local Government Infrastructure Plan (LGIP) a part of Council’s planning scheme which identifies trunk infrastructure necessary to service urban development in a coordinated and cost effective manner. To view individual maps from the Hinchinbrook Shire Planning Scheme visit Council's Mapping and GIS Services page. To view individual maps from the Hinchinbrook Shire Local Government Infrastructure Plan (LGIP) visit Council's Mapping and GIS Services page. 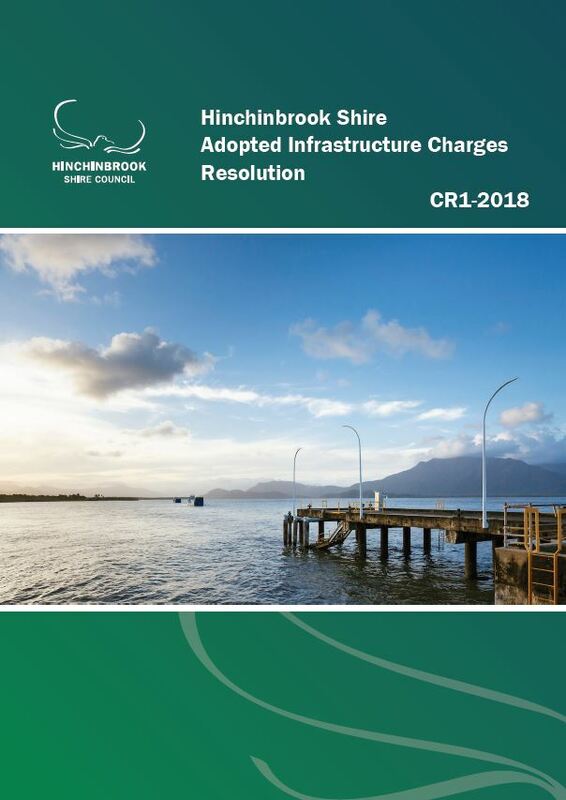 The new Hinchinbrook Shire Adopted Infrastructure Charges Resolution comes into effect 02 July 2018. Hinchinbrook Shire Council levies infrastructure charges as part of the development assessment process. These charges apply when a subdivision (reconfiguring a lot), material change of use or carrying out of building work occurs that generates extra demand on trunk infrastructure networks. Designed to be read in conjunction with both the Hinchinbrook Shire Planning Scheme 2017 and the Planning Regulation 2017, the charges adopted in the resolution when levied, will help fund the establishment cost of trunk infrastructure identified in the Hinchinbrook Shire Local Government Infrastructure Plan (LGIP) 2018.